Caihailian Vineyard is owned by Bob and Anne Ramsey, and is named for their three fantastic kids: Cailin, Hailey, and Iain. Bob manages the 2.5 acre vineyard with an incredible amount of patience. Caihailian is located southwest of Charlottesville on the road to Wintergreen Resort, in the Monticello AVA. We have a wonderful selection of wines all made from our Vidal blanc Grapes. Bob Ramsey has been interested in the art of growing grapes for a good number of years. He started out with just a measly six vines at the family's garden plot in Arlington, VA. 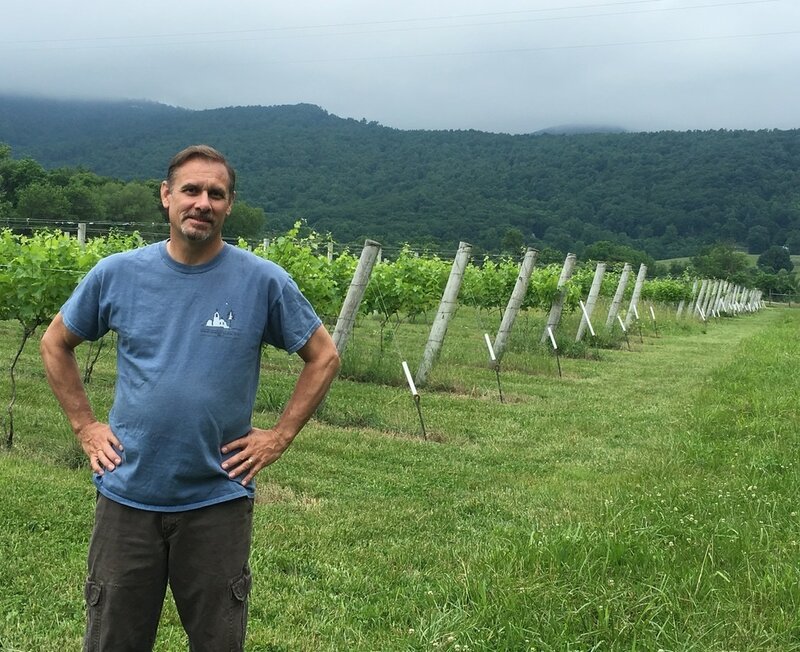 In 2000, he found a vineyard, near Charlottesville, VA, and began to make wine.